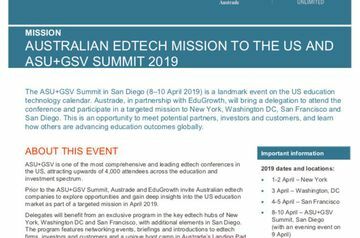 Australian EdTech Mission to the US and ASU+GSV Summit 2019. 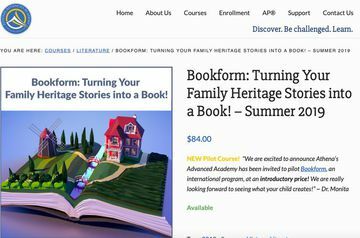 Bookform will partner with Athena’s Advanced Academy to pilot the ‘Family Book’ project in their online summer course program. 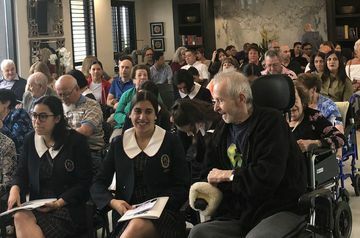 Athena’s Advanced Academy is an online learning environment, delivering project-based and interactive live webinar classes for gifted, talented and home-school students. 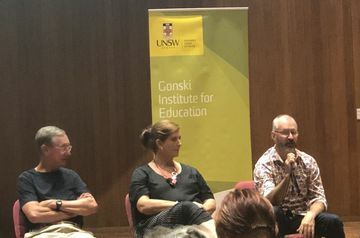 The Gonski Institute for Education hosted Ted Dintersmith, a US Education researcher & academic to discuss his recent book ‘What School Could Be’ and film ‘Most Likely To Succeed’ with a panel of education experts, Professor Pasi Sahlberg, Stephanie McConnell and Peter Hutton at UNSW last night. 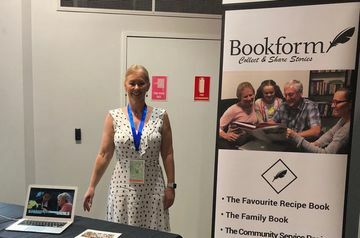 Bookform is an online tool to guide students to interview their family members or people in the community as communication & relationship building projects. 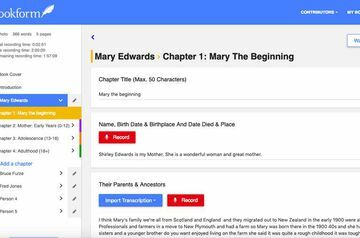 Students collect stories, using voice-to-text AI & collaboration (any language) & photos, to create personalised memoirs or Family Books. HundrED is a Finland and UK based not-for-profit online platform to discover, research and share impactful and scalable K12 innovations with the world, for free. Each year HundrED selects the top 100 inspiring innovations globally and highlights them to the world. There are some big wicked problems in the world today. We’re living in a new world of hyper-connectivity, but people seem to be feeling more disconnected than ever before. Especially the young and the old. The Global Indian International School (GIIS) Singapore has partnered with Sydney based EduTech Company Bookform to pilot new story-collation software for students to create personalised Family Recipe books. 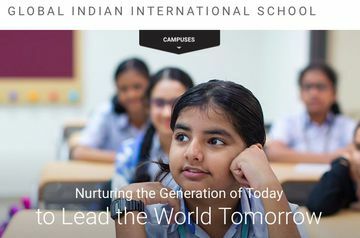 GIIS has 19 campuses across 7 countries, including Singapore, Japan, Thailand, Vietnam, Malaysia, UAE and India, and growing. 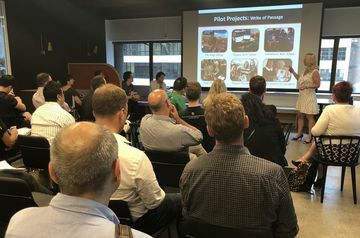 The AWS EdStart accelerator, designed to help EduTech startups develop the next generation of online learning to be secure, smart and scalable, accepted Bookform into their program last Friday 9 November 2018.